You can sign up and become a member for only 3 monthly payments of $37 or for one full payment of $97. Welcome To My Fit Healthy Mums Site! better! This is not a ‘fad’ or a quick fix, this is a way of life. going to be the most amazing thing you will EVER do! 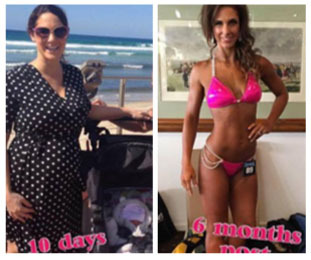 Fit Healthy Mums ‘Your OptiMUM body’ 12 week program is designed to get you healthy from the inside out. This is the perfect plan for you if you are trying to get your body healthy for pregnancy or just healthy for life in general! encourage and motivates each other. life. You are sick of giving up and feeling alone. ‘Your OptiMUM body’ will detox your body, re-energize you and balance your hormones as well as transform your body! You get 3 x 4 weekly food plans that are all based around eating whole foods and eating nutrient dense food at the right time. We at fit healthy mums believe in eating REAL food. Nature knows best and your body knows what to do with real food! We have vegetarian meal plan option available for those that don’t eat meat! The 12 weeks of training is periodised, this means the training volume will increase as you move through the program and are feeling fitter and stronger. It is a combination of weights, cardio, core work and stretching, the perfect combination to transform your body and not only get you looking amazing but feeling proud of the body that you live in. You get a 12 week training program for at home so you can train at home if you can’t get to a gym.. This is so you don’t have any excuses! You get weekly emails from Justine with tips and inspiration to keep you on track. PLUS – Those who join get access to the Facebook support forum where you get support from Justine and her team of experts and all of the other women doing our programs. If you are happy and healthy the roll on effect will be that your family are also happy and healthy. You deserve to be the best version of you and that starts here and now when you join up. What are the mums saying about the program? from all around the world, and it WORKS!